Want to discover your destiny ? orLooking for an unforgettable Birth Day Gift for somebody you know ? The Full Life Reading is not a vague computer generated report. It is a personally prepared unique, individual genuine reading which is Word processed in MS Word Format. A Sample of a typical Sinhala Full Life Reading is given below. Please Note that, this Full Life Reading is available only from "Sri Lanka Jyotisha" and there is nowhere else you can get such a reading. A huge reading of about 50 5ages excluding charts - $145 US My personal opinion is this is the best you can get as I am personally doing it. I can offer the full reading for only a limited number of people at a given period of time, as it requires a lot of time to prepare a single reading and I need about 4-5 days to complete one. Though I do this as my hobby, you may understand that there is material and time cost attached with it such as site fees, connection fees, depreciation of hardware and value of my free time ect. Therefore the Full reading is not a free offer. Even though I would really like to do it that way. A Sample of a typical English Full Life Reading is given below. The pictures of different Astrological charts you see in the reading are inserted to Word Document as GIF Image files. Once the reading is completed, it will be emailed to you directly. Cost of preparation of a Full Life Reading is 85 US$ . To Order the reading for you, press the "Contact " Button on the left border. 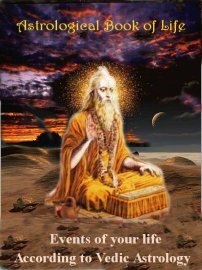 Please Note that, this Full Life Reading is available only from "Sri Lanka Jyotisha" and there is nowhere else you can get such a reading. Though, my reading is offered to you as the best, I do not wish to push mine for a hard sell. I maintain this site as a hobby and it is not a commercial astrological venture and therefore, you are free to shop around if you wish. But I know well that, you will return to me some day, if you are really looking for a good reading. As I am confident that my reading is the best. And you will not be able to substitute my reading with any other.